So, you decided to pack up all of your belongings and start the process of moving out of state. We hate to say it, but choosing to move across state lines was the easy part. Now comes the challenging yet exciting process of hashing out the details and planning for the big move. To help, we gathered the most important steps for moving out of state and sprinkled in our top tips to make your move that much smoother. Let’s get started! While it might not always be possible, moving out of state after you have a job lined up will take a huge load off. How do you find a job across the country? If possible, reach out to friends and family who live in your new area. You can also use job sites such as Indeed and Glassdoor to find openings and LinkedIn to leverage your network. If moving day rolls around and you don’t have a job waiting for you, that’s okay. Just be sure you’ve saved up at least 3 months’ worth of living expenses to cover you in the meantime. Housing is another essential worth locking down before moving out of state. It may not be your dream home. Hey, it might even be your cousin’s couch, but long as you have somewhere safe to sleep for a few weeks, you’ll be much better off than waiting until you arrive in your new area. If you have kids, it’s a good idea to narrow down school districts or specific schools before moving out of state. If you’re able to choose your location based on the schools, even better. Before you begin your moving research process, create a high-level master plan of how you’ll organize your move. Figure out how much money you can spend max while moving out of state. Can you transport any of your belongings in your own car or rental truck, or will you leave everything to professional movers? Speaking of the car, will you have to ship that too? Make a list of any friends or family members who could help you with moving out of state. If you’re driving some of your belongings yourself, how much time do you have to reach your new home? Will you take out a moving insurance policy? The key to this first step is to prepare the big plans first so you don't get bogged down in the nitty-gritty details down the line. 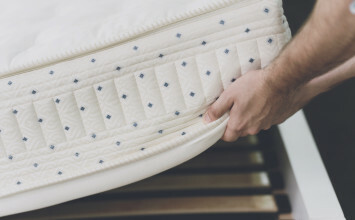 Take inventory of everything that you’ll bring to your new place, being sure to focus on the things you really need, like your dishes and a bed frame. Moving out of state can get very expensive very quickly, so you’ll want to keep costs under control by only moving these necessities. When paring down, use a pack, purge, or donate system to sift through your stuff. Once you’ve settled on what to bring with you to your new home, sell your used items on Craigslist, host a garage sale, or donate your lightly-used items to charity and claim a tax deduction. Hey, it might even save you a bit of money along the way. Hey, moving locally is expensive, never mind moving out of state, so you’ll want to save money wherever you can. Whether you’re using recycled packing materials or scheduling your move on a day with lower moving estimates, sticking to a budget will be a big help as you’re moving out of state. To keep track of both your budget and your expenses, create a master spreadsheet of all of your moving-related costs so you’ll be prepared to make the payments when you need to. The most common deciding factors between hiring a professional moving company and taking on a DIY move are cost and convenience. Once you have your budget ready to go, you’ll be able to decide fairly quickly whether you can afford to hire a moving company or if a DIY move is a better option. What will your budget allow? How much time do you have before starting a new job/school? How far is your new state from your current home? Are you traveling with a family? Do you prefer to have more control over how your things are packed and moved? Can you manage a lot of heavy lifting? Do you mind strangers moving your personal belongings? Feeling confident that you chose the right moving company will give you peace of mind when moving out of state. Be sure to ask friends and family for recommendations, and check out customer reviews online. Before booking, always ask your moving company in writing whether they plan to subcontract your move to another company during the trip. If they do, your belongings will be divided between two or more trucks, meaning that portions of your things are likely to arrive at your new place hours or even days apart. This could be an issue if you’re starting a job right away and want to avoid taking multiple days off, so it’s best to find this out before your long distance move. You’ll also want to ask about any extra charges or fees that could be added to your move. You definitely don’t want to deal with an unexpected bill when you’re moving out of state. As you familiarize yourself with your moving company, be sure to ask for references and if they offer any other moving services that could help you move out of state more easily. Packing and loading services, for instance, could save you a lot of time and energy. That’s a lot of jargon, but the good news is that most moving companies clearly list this information on their website (it proves that they are a reputable business, after all). If in doubt, check their reviews online or call them for more information, and check in with FMCSA to ensure they're an accredited business. Additionally, be aware of moving company terminology. Know what an estimate really means and how to avoid sneaky markups. 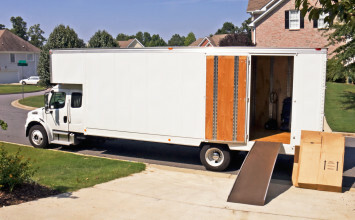 These tips will help you spot moving scams from a mile away. We can also recommend some of the best moving companies by city, so be sure to search our Moving Tips blog to find a trusted company near you. If you’re new to moving long distance or moving out of state, you’re probably imagining the moving truck rolling up to your new home just days after you packed up your old one. That’s how it works, right? Well, not exactly. It’s standard practice in the industry for moving companies to give you a delivery spread, or an interval, of 1 to 14 days for all of your belongings to arrive. Why the spread? Moving companies often use one truck to ship multiple customers’ belongings. If they didn’t, moving out of state would be outrageously expensive for both you and the moving company. While you can gauge the delivery spread by setting your loading date, the ultimate length of the delivery spread is subject to other variables including the move distance, time of year, and how much you need to ship. Particularly if you’re moving across the country, you’ll need to prepare to ship your car before you move. Deciding on a schedule and your car shipping budget are the two most important steps, so you will want to do those first. 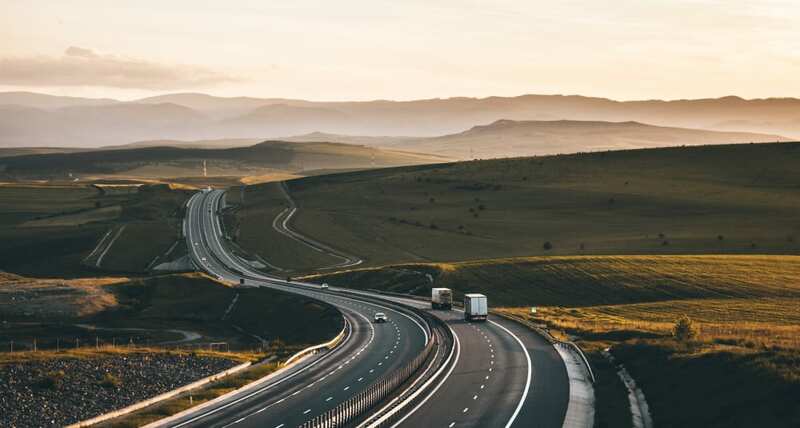 Coast-to-coast auto transportation can take 1 to 2 weeks, so you’ll want to plan a way to get around both before you leave and once you reach your new home, should you arrive before your car does. Consider reaching out to a neighbor to ask whether they’re willing to carpool the week or two before you move out of state. When creating a budget for shipping your car, look at your overall budget and figure out how much you can spend on your car. Take a look at the different variables that affect the price and timeline of sending your car, and choose what works best with your overall plan for moving out of state. Many long-distance movers assume that packing up the family van and driving across the country is the cheapest way to move the family from Point A to Point B. But between rest stops and overnight hotel stays, expenses can pile up quickly and timelines can fluctuate dramatically. Double check whether shipping the car and booking a train or even booking a flight would save you some extra time on your move. If flying looks like a good option for you, you can save money on airfare by selecting the cheapest time to book travel tickets. Nothing’s worse than not having internet access when you move, and chances are you won’t be able to stop by the new house to make sure the water’s running before physically moving out of state. Make life easy on yourself and transfer your utilities and home services early so you can relax in front of your favorite Netflix series after a long day of unpacking. You’ll also want to update your mailing address before moving out of state. You don’t want to miss out on any final bills or notifications after your move. So, packing in theory is a no-brainer, right? Well, when moving out of state things can get a little complicated. If packing up your home yourself, you’re going to want to ensure everything is secure and protected for the ride. Use straws and egg cartons to pack your jewelry, and remember to take pictures of your electronics before unplugging them, for example. When you’re moving out of state, you may not have the luxury of packing up the back of the station wagon and escorting your possessions safely to your new home. If this isn’t an option for you, set aside an emergency bag with some essentials to get you through a few days in the event that your belongings take longer than expected to be delivered. Make sure you keep important documents including your moving documents, tax and insurance documents, and forms of identification with you when moving out of state. Sentimental and valuable items should also be kept off the moving truck when possible. 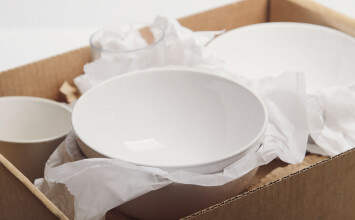 We would also suggest that you pack your “open first” box in your car (if you’re driving yourself to your new home) so that you know you’ll have it when you need it. If you’re moving out of state, you’ll want to double (and then triple) check that you’ve exchanged contact information with your moving company. This way, you can rest assured that if something goes wrong en route, like one of you gets a flat tire, you’ll have their cell phone number handy. This is also a good time to ensure that your moving company is delivering your stuff to the right place. It sounds obvious, but you’d be surprised how often a town has two streets with the same name. While you can no longer write moving expenses off as part of your tax return, you should still hold on to all of your moving-related receipts. The costs for moving out of state can spiral out of control, so use your receipts to keep track of your spending and remain within budget. Plus, if you’re moving for work, your employer may offer to cover a portion of your moving expenses and they’ll want to know where their money’s going. Whether it’s a simple Facebook post, a text, or an all-out party, make sure your loved ones know that you’re leaving. Preparing to move can take up a lot of your spare time, so set some time aside to say goodbye to your network and even your neighborhood before you rush off. Trust us, you’ll appreciate the downtime. When moving to a new state, you’ll have plenty to take care of. Rules and laws vary from state to state, but many states require that you update your driver’s license within a certain time frame. Even if it isn’t required, you’ll want to change your information with the DMV anyway so that you can register to vote in your new state. Now that you know just what to do when you’re moving out of state, you can confidently take on the move and have energy left over to celebrate! To stay organized, keep this downloadable checklist handy as your prepare for your new adventure!